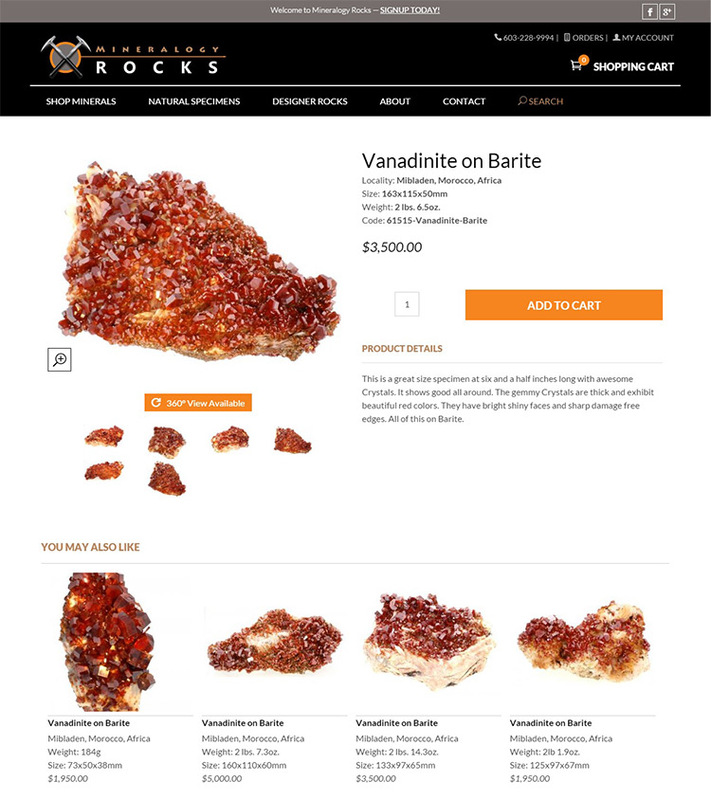 Mineralogy Rocks new website raises the bar in the industry. No longer are users limited to a single straight-on shot of the minerals, they can no interact with them! 360 Views allow the user to rotate and view every angle of the piece. 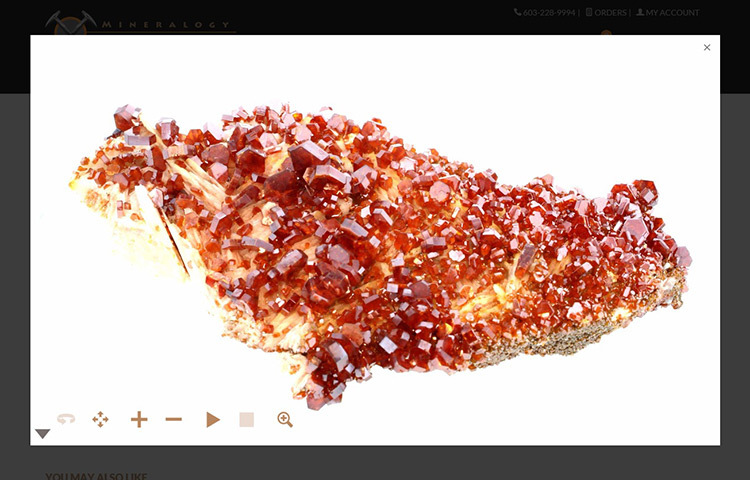 The virtual magnifying glass lets them inspect every nook and cranny of the mineral before making their purchase. The product page contains your standard product information; a description, key details like size, weight, and locale, multiple photos, a few related products. But for some products, users see a 360° View Available. The 360° view works by combining a large set of high-quality images into a single rotating object. The user has full control to move the product around, zoom in and out, and use a magnifying glass to get an closeup view of small sections of the product. As with all e-commerce stores, the goal is to get the basket full and the bill paid! Have a look for yourself at MinRocks.com. 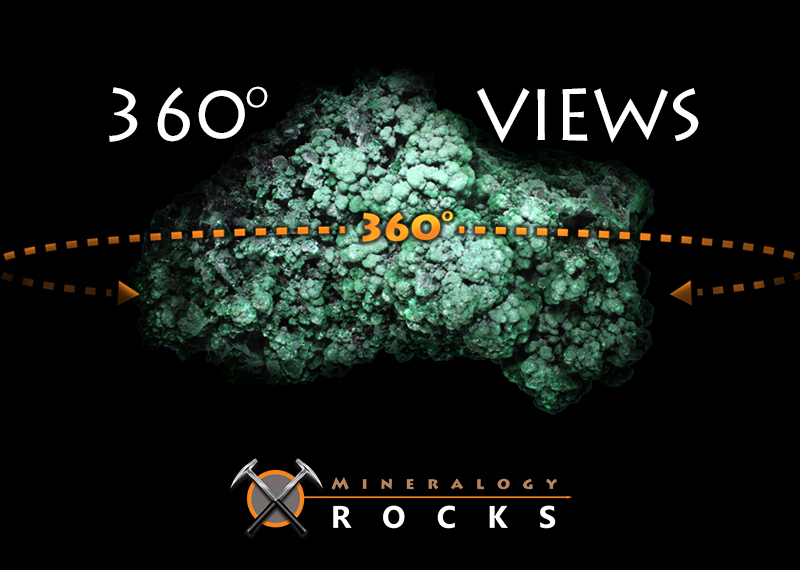 Be sure to check out one of the minerals with a 360 View!